Owning and operating my own Restaurant ... Having the Opportunity to be a Chef and live out my dreams . Playing Semi-pro with one of the greats Icky Woods. Finally making it on FOODNETWORK -VERY PROUD MOMENT! "DONT EVER SWEAT THE SMALL STUFF "
Kim Moy has a birthday today. 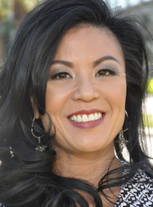 Kim Moy updated profile. View. Kim Moy changed profile picture.